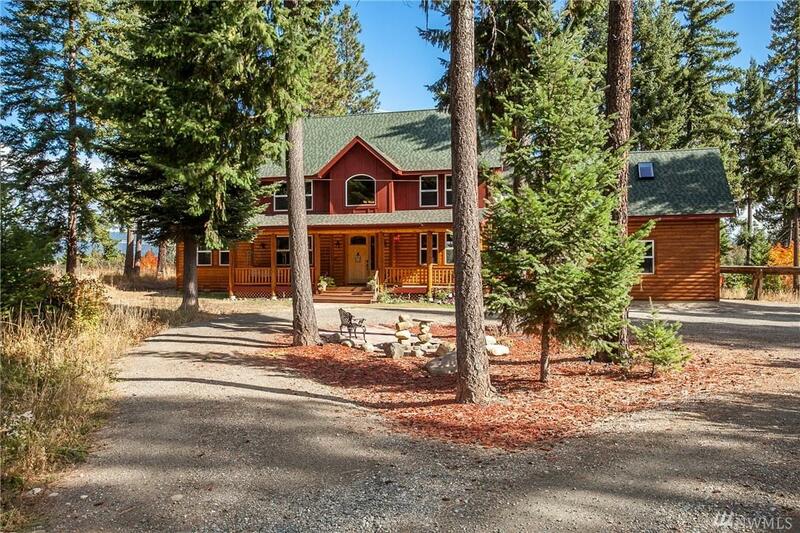 Black Bear Lodge rests on 4.5 treed acres. 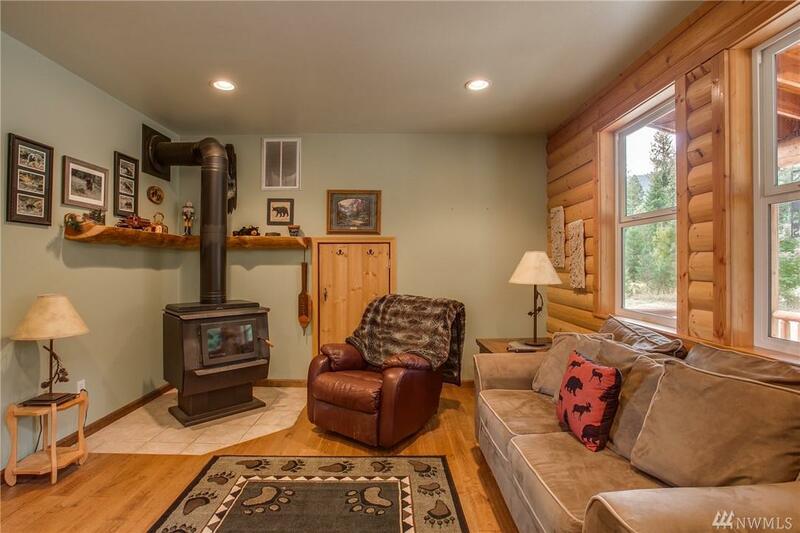 A cozy front den beckons you in w/warm woodstove & log accents. 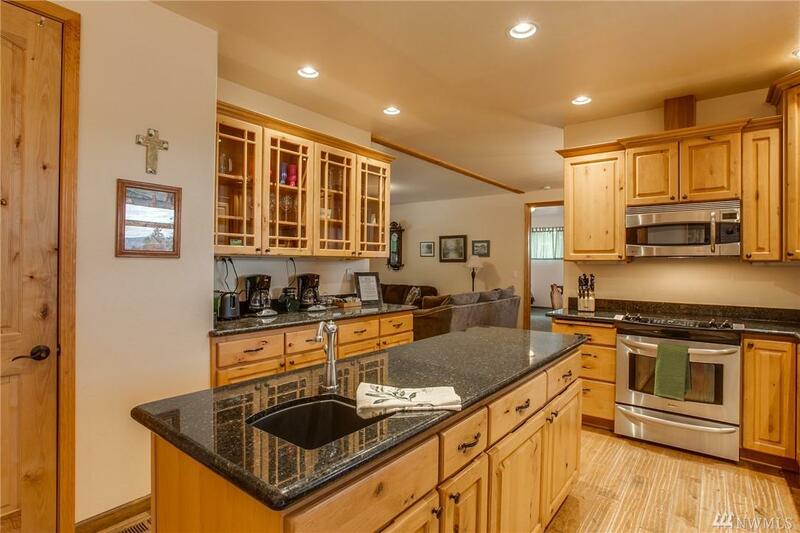 A well appointed kitchen boasts breakfast nook, big island, & access to back deck & hot tub. Lovely dining rm & nice sized living rm too. Master Suite w/full bath & WIC. 2nd Master Suite upstairs, w/flex rm (or loft?) En-suite bath w/shower & jetted tub. 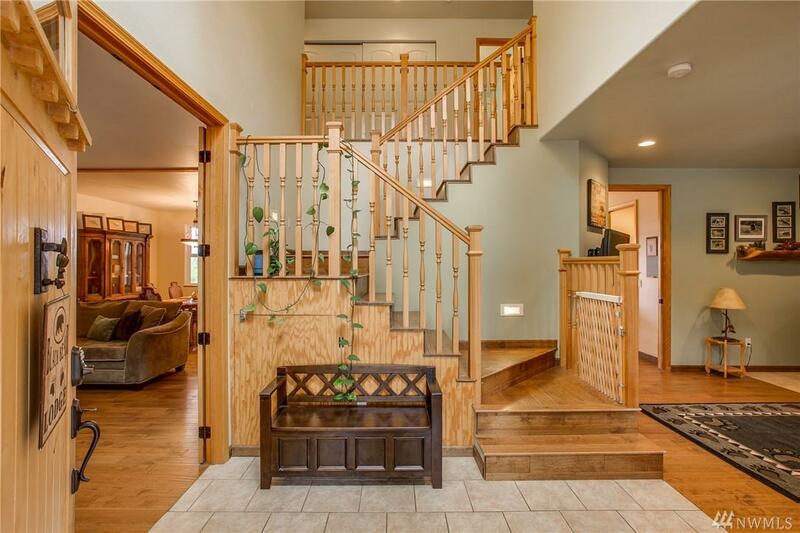 2 guest bdrms, full bath & laundry rm too. Massive bonus rm! 2 car attached garage. Recreate from your back door to endless trails!